We are proud to announce 14th outlet with new concept at Tanjong Pagar! BE OUR FAN by completing our annual Keisuke Challenge!! Event will start from 4th till 30th June 2018. 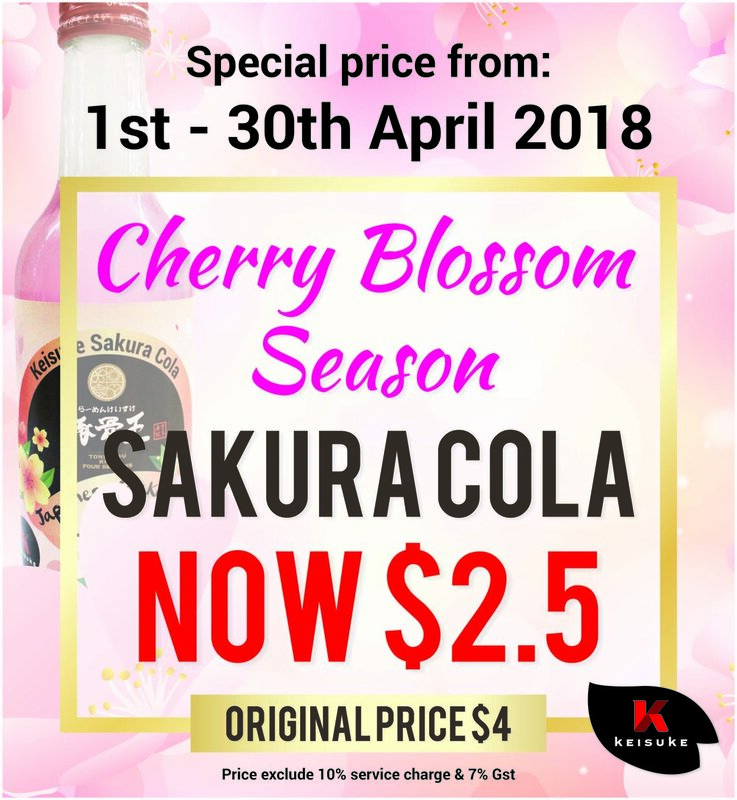 To celebrate the season of cherry blossom, sakura will be having a SPECIAL OFFER at all Keisuke outlet. 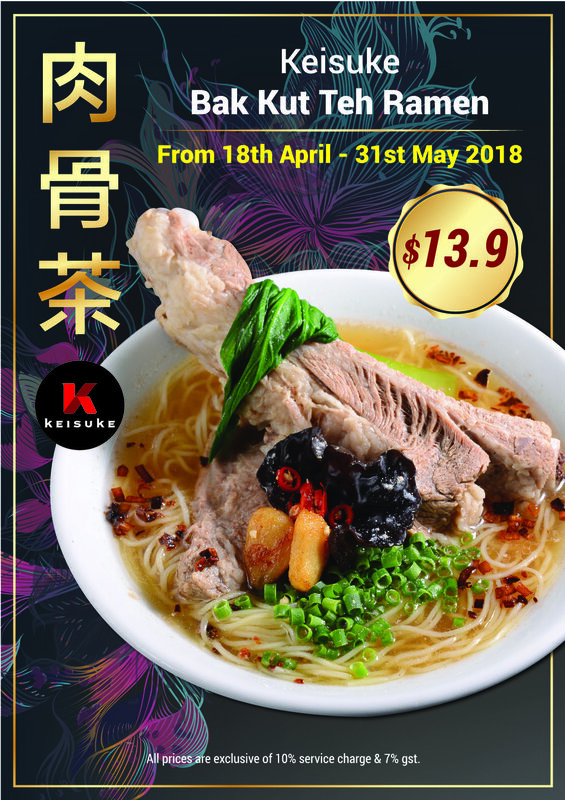 Bak Kut Teh Ramen is available at Tonkotsu King Matsuri (Parkway Parade) for a limited period of time! Ramen Keisuke Tonkotsu King is opening a new outlet at Perth, Australia this time! We once again launching our 13th outlet with new concept at Holland Village! 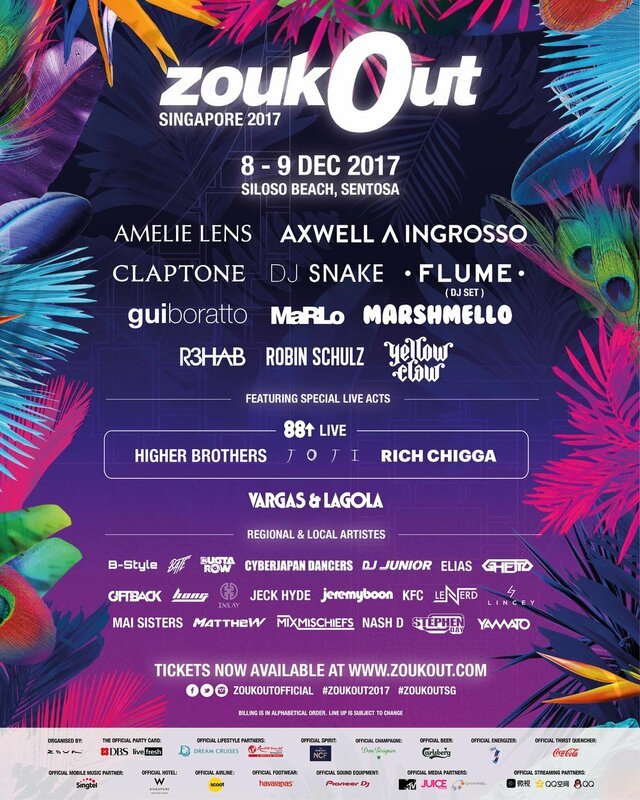 We are back at the Asia's Largest Beach Music Party! Get ready to enjoy bowl of your favourite ramen at the livliest music party in Singapore! CELEBRATE THE JOYOUS event WITH US! It is our 6th Anniversary at Tonkotsu King (Tanjong Pagar) and this year we are giving out something special! 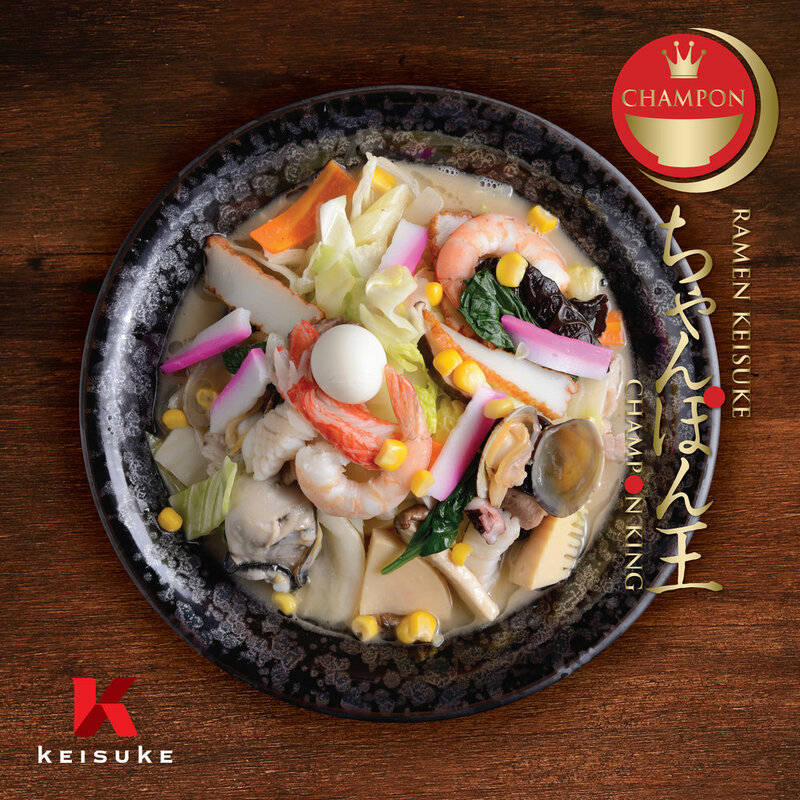 Ramen Keisuke is distributing ‘Dine & Enjoy’ stamp cards to you upon patronizing our outlet at Kani King! Are you able to guess the what is Mr Takeda's next creation? Moviegoer at Cineleisure are able to enjoy FREE canned soft drinks at Kani King with your movie ticket presented at the restaurant. To show our appreciation by giving our utmost gratitude to a bowl of ramen. 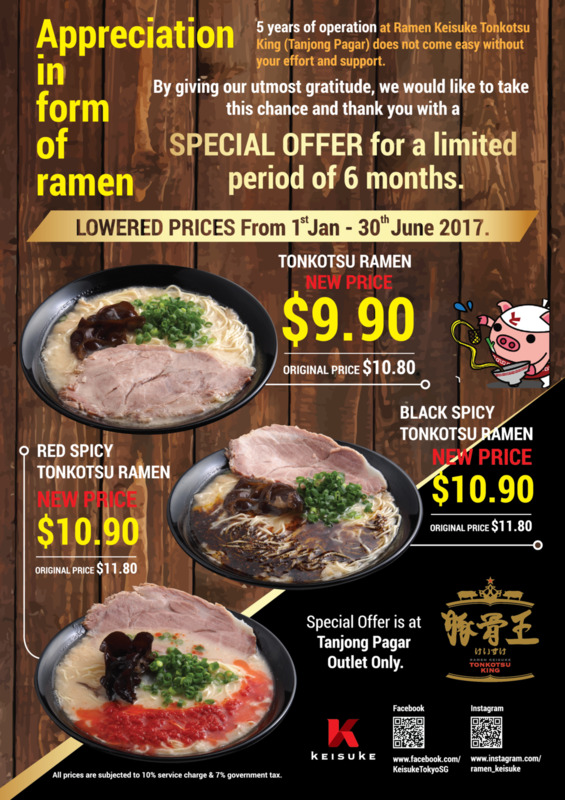 We are glad to announce that Ramen Keisuke will be have SPECIAL OFFER at Tonkotsu King at Orchid Hotel for a period of 6 months till June 2017 ! It is our first year introducing special Christmas Dinner Menu to celebrate with everyone on this joyous month. Menu only limited to 20 bowls per day from 23rd -25th December 2016. Forget about the annual Ramen Challenge. 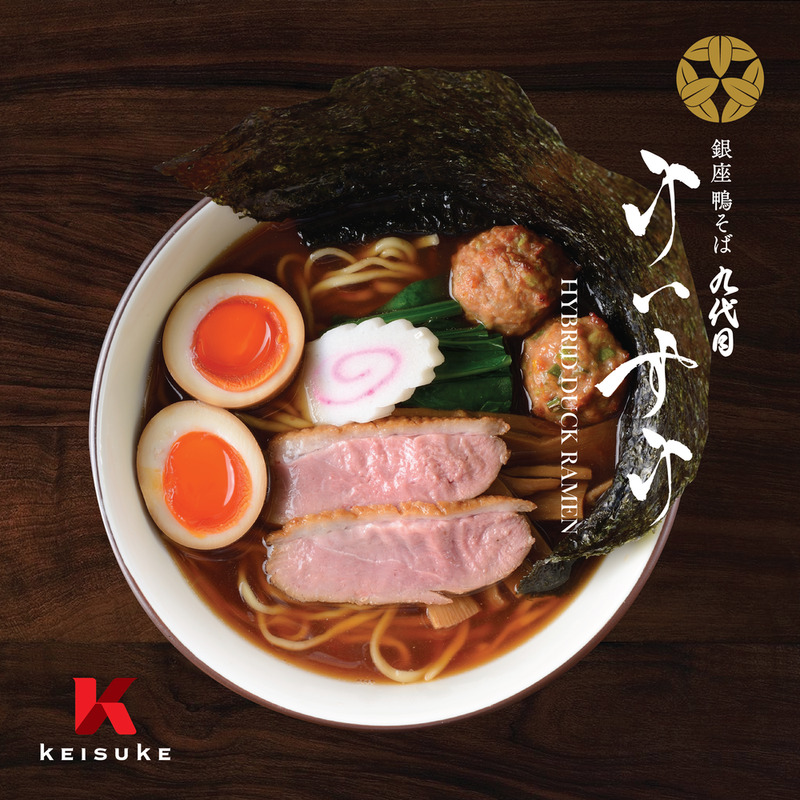 This month, Ramen Keisuke decided to organize 'Xmas Tonkotsu King Four Seasons Challenge' in this jubilant season. Event will start on 19th till 31st of December 2016.